What It Does: Can detect cars that might be crossing as you back up. What It Does Not Do: May not detect cars behind you when parking spaces are angled; may not detect pedestrians. Before backing, look over both shoulders and check the mirror. Put your car into reverse while holding the brake. If a vehicle is entering your backing path, a tone and flashing light on your mirror or dashboard may alert you to stop. If so, apply the brake – there may be a car crossing behind you. Rear cross traffic alert is designed to warn you of cars that are entering your backing path. You may not be able to see these cars as quickly as your rear cross traffic alert system can on a road or in a parking lot. Sensors around the rear of the car detect vehicles approaching from the left and right. 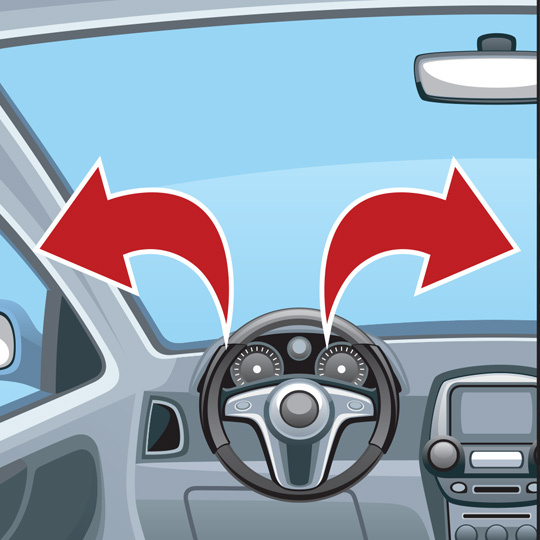 A warning tone and flashing light on the mirrors or dashboard alert the driver to stop. First, make sure you have physically checked behind your car for any objects. 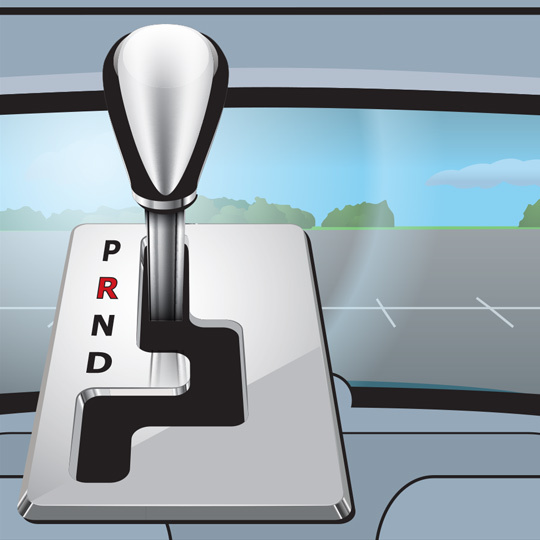 Then, shift the car into reverse while you are holding your brake. 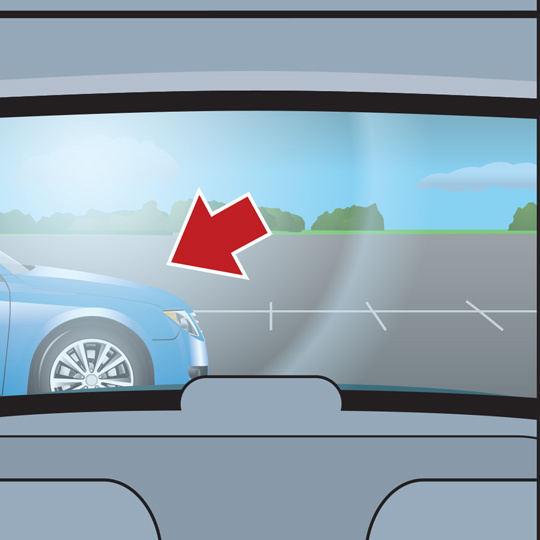 Check over your shoulders and look at your side and rearview mirrors for any people, animals and objects. Back slowly, and stop if your rear cross traffic alert activates. These systems only work when you are backing straight out of a space or driveway. They don’t work in angled parking spots. Always be sure that you’ve physically checked behind the car before backing out of a driveway or parking spot. There are some objects that back-up warning sensors may not detect, especially if they are located partially under the car. Read your owner’s manual for more information about scenarios in which your rear cross traffic alert may not have been designed to function. For example, if your rear cross traffic alert relies on ultra-sonic sensors, it may not work as well in enclosed spaces. It also does not typically work in angled parking spaces – only where your car is parked straight in. 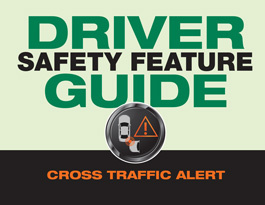 What are some common misconceptions about rear cross traffic alert? Drivers should understand that rear cross traffic alert and other similar backing aids should not be relied on completely. Drivers should always physically check behind the car before backing, as well as turn their heads and check that it’s safe as they begin to back up. Rear cross traffic alert also does not typically work in angled parking spaces. They only work if your car is parked straight in to a spot. Will rear cross traffic alert be required in all new cars at some point? At this time, not directly. By May 2018, all new vehicles weighing less than 10,000 pounds – including buses and trucks – will need to be equipped with a back-up camera. The federal rule behind the mandate does not specify that cars need to have rear cross traffic alert as well. However, manufacturers often pair rear cross traffic alert with back-up cameras, so the rule may end up increasing the popularity of rear cross traffic alert features in the near future. Where is rear cross traffic alert most useful? Rear cross traffic alert is most useful when backing out of a driveway that might be obscured by bushes, fences or another car. It also is useful when backing out of a parking space where the driver cannot see cars that may be coming from the left or right.